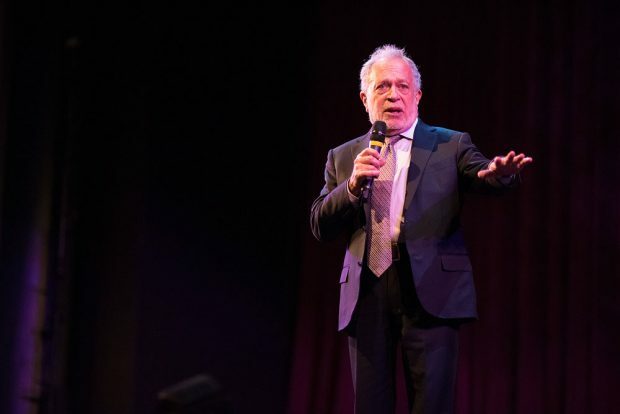 Salt Lake Community College welcomed economy expert Robert Reich to the 2016 Tanner Forum on Social Ethics on Wednesday, Oct. 19. Reich once served as Secretary of Labor during the Bill Clinton administration and currently teaches public policy at the University of California at Berkeley. He took center stage in the Grand Theatre to “integrate three different ways of thinking” between politics, economics and ethics. 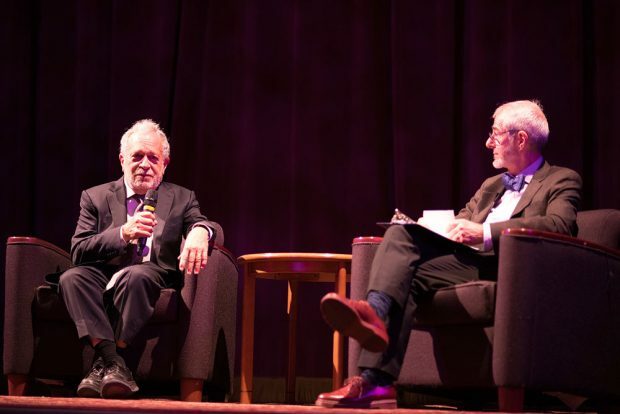 Prior to his presentation, Reich participated in a forum and answered student questions on topics such as the national debt and the presidential race. Reich stated that running for president is an expensive endeavor, and that he is worried about anyone running for that position in this day and age, because raising a lot of money is so necessary. “These parties are getting thinner and thinner in terms of what they are, and the glue that actually keeps a party together is coming apart in both parties,” he said. Reich realizes that a country that presents itself as a meritocracy can leave a shrinking middle class feeling frustrated. He discussed how globalization and technological displacement have affected jobs, wages and fortunes in every advanced nation, including the United States. “Globalization, properly understood, has lofted over America and we have not been ready for it,” he said. Reich responded that he believed free college to be “a public good,” but also said that college debt could be more adequately managed by refinancing debt at a lower rate or moving from the current college borrowing system to a system that is more income-conscious. Thank you for covering this talk and sharing your summary; I’m sorry to have missed it. It’s surprising to read that Mr. Reich has any hope for our future, considering the apparently irreversible environmental destruction that we have wrought, growing income inequality, persistent racism, sexism, xenophobia, and love of (or at least acceptance of) violence, among many other problems we face.